Wooden display table made from solid oak. Made in America with semi-gloss finish. Angled legs, measures 7" x 7" x 3.5" tall. Wooden display table. Made in America with semi-gloss finish. 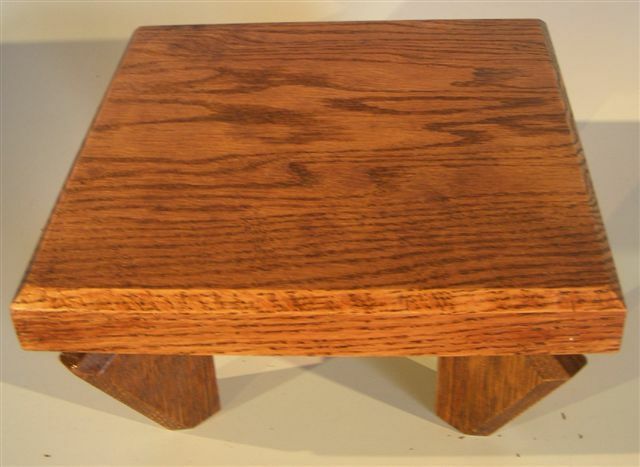 Angled feet, measures 7" x 7" x 3.5" tall.